It’s safe to say that M.A.C’s latest launch will give you some serious sugar cravings… Called Oh, Sweetie Lip Colour, it not only comes with names like Funfetti Cake, Sugar Cookies, Banana Muffins and Coconut Macaroon, but an accompanying mouth watering flavour to boot! 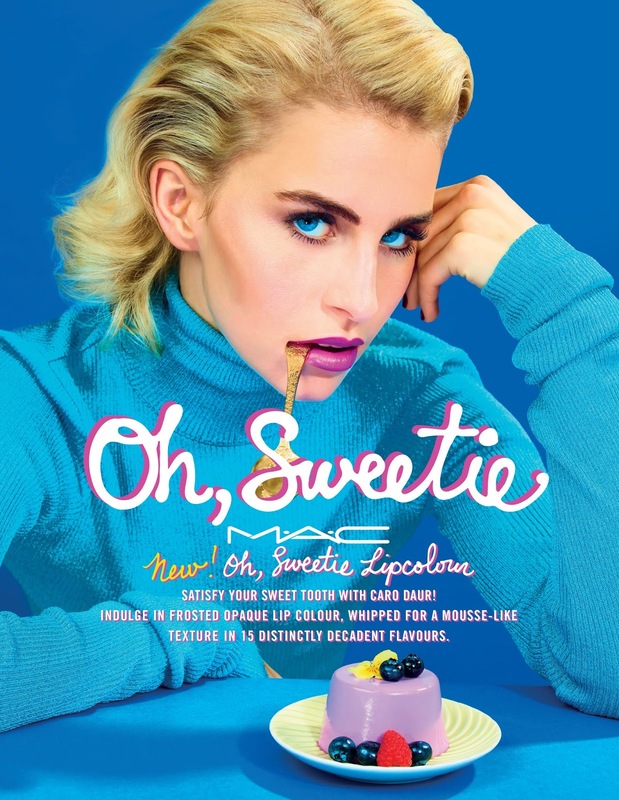 Destined to appeal to younger customers and anyone who was addicted to Lip Smackers back in the day, the line is headed up by model and influencer Caroline Daur, whose favourite flavours are reportedly Death by Chocolate and Panna Cotta. 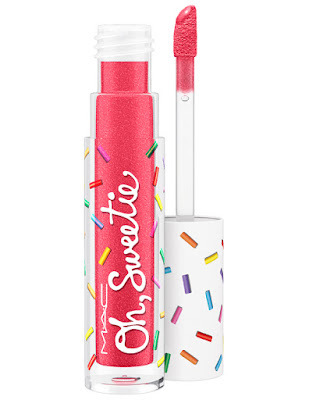 The formula is described as "whipped for mousse-like texture" and promises to serve up "funfetti-bright, frosted opaque hues for lips,". It comes in a cupcake sprinkle range of fifteen gorgeous colours, including a blue called Wild Berry Frosting and a green called Key Lime Truffle. YUM. The patisserie-inspired line was first teased by MAC global makeup artist Dominic Skinner back in April when he used them on models during Fashion Month. He said in Instagram posts that the lip treats are both scented and flavourful - “because you want the full experience”. Who would argue with that? My pick of shades thus far are the aforementioned Daur fave, Death By Chocolate (a beautiful burgundy), Coconut Macaroon (a very wearable Pinky Beige) and chocolate brown hued Caramel Sugar. 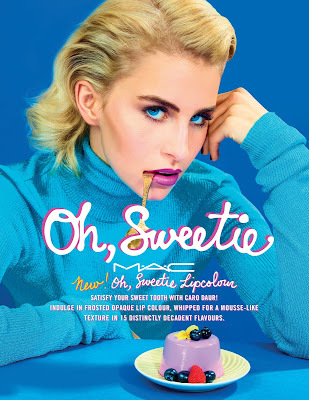 Oh, Sweetie Lip Colour is on counter right now at all M.A.C locations – and won’t go straight to your waistline!